Kiddos from my activity showing off their artwork! 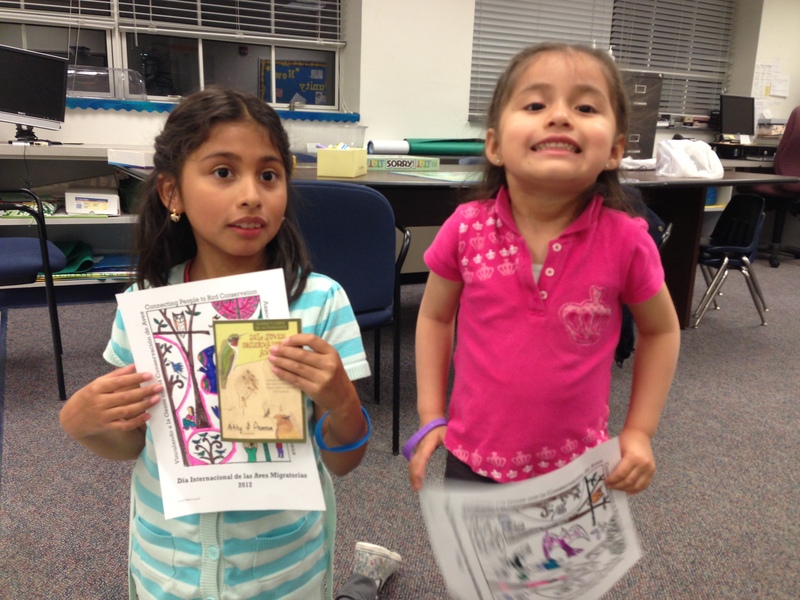 They were really excited to learn about how to help save “pajaritos” (as they say). I was very excited to have my first activity at an elementary school on Monday evening. Usually there are 12 children, however the day I went there were only two kids. I was disappointed at the low turn out but that is how outreach goes sometimes. I made the most of it and I did educational activities with them on pajarito (bird) conservation. It was interesting to interact with these kids and find out about their attitudes regarding the outdoors. I connected with them, which is an effective way to engaging with the Latino community. 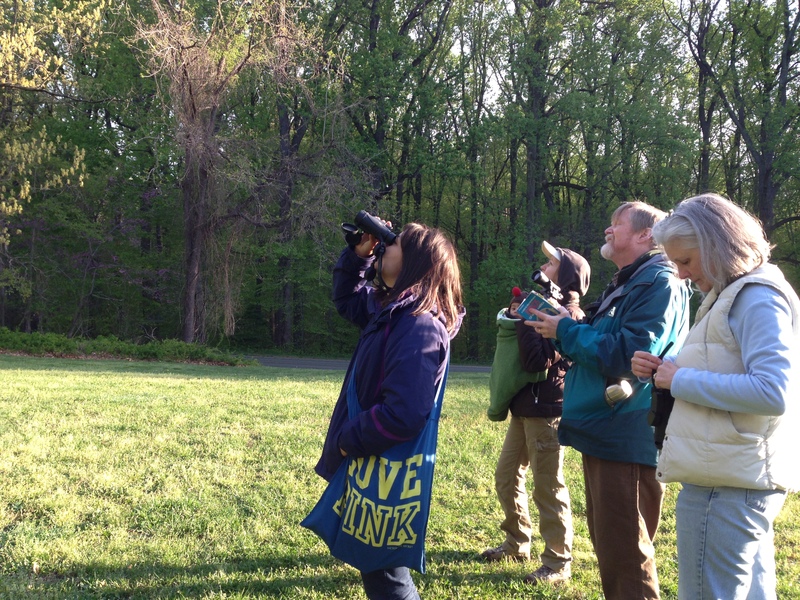 On Sunday, my supervisor Kim Winter and a wildlife biologist from our office took me on a birding adventure at Rock Creek Park! We saw a lot of Red Headed Woodpeckers, Towhees, beautiful Goldfinches, Cardinals, Red headed Cowbirds, White and Black Wobblers, and one Vulture. It really is amazing how much you can learn when you go birding with people that have a lot of knowledge and enthusiasm to teach others. I learned a new things which is great because, unlike my colleagues, I am not a biologist. My knowledge of birds is limited but it is something I want to learn more about. I am hoping to go birding more often because I enjoyed it a lot! The U.S. Forest Service D.C. office is providing EFTA’s education materials to Forest Service regions throughout the country. This week, my responsibility was to gather information on which educational materials are needed for the International Migratory Bird Day events hosted by the U.S. Forest Service sites. I also developed talking points for a presentation regarding EFTA and this Celebrate Shorebirds internship program. I will present this information at schools and non-profit organizations as a way of getting more people interested in bird conservation. Hopefully, my presentations will create partnerships with these organizations. P.S. I have my very first business cards! 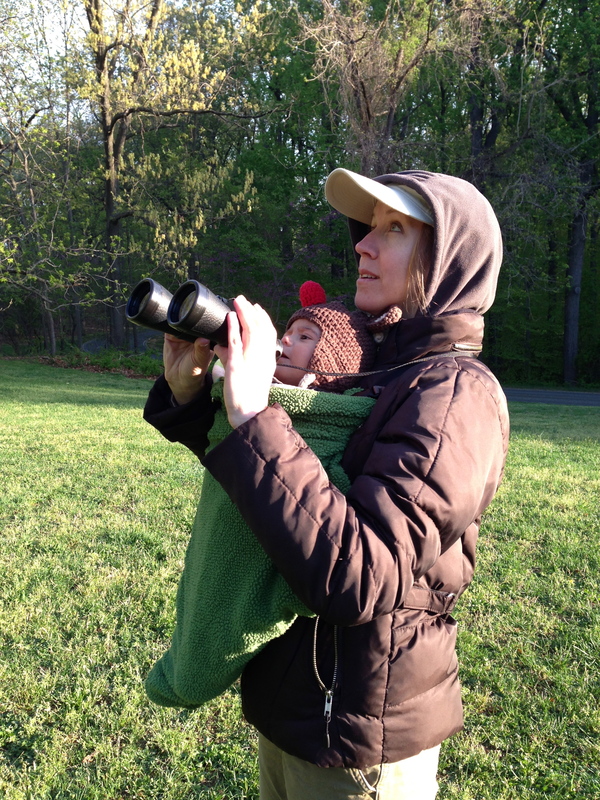 Here I am birding with my supervisor, her beautiful baby, Dr. Sandy Boyce and his wife.